Prince Philip, Duke of Edinburgh (born Prince Philip of Greece and Denmark, 10 June 1921), is the husband of Queen Elizabeth II. Philip was born into the Greek and Danish royal families. He was born in Greece, but his family was exiled from the country when he was an infant. After being educated in France, Germany and the United Kingdom, he joined the British Royal Navy in 1939, aged 18. From July 1939, he began corresponding with the 13-year-old Princess Elizabeth, whom he had first met in 1934. During the Second World War he served with distinction in the Mediterranean and Pacific Fleets. Prince Philip, Duke of Edinburgh (born Prince Philip of Greece and Denmark, 10 June 1921),[fn 1] is the husband of Queen Elizabeth II. Philip and Elizabeth have four children: Prince Charles, Princess Anne, Prince Andrew, and Prince Edward. Through a British Order in Council issued in 1960, descendants of the couple not bearing royal styles and titles can use the surname Mountbatten-Windsor, which has also been used by some members of the royal family who do hold titles, such as Princess Anne and Princes Andrew and Edward. A keen sports enthusiast, Philip helped develop the equestrian event of carriage driving. He is a patron, president or member of over 780 organisations and serves as chairman of The Duke of Edinburgh's Award for people aged 14 to 24. He is the longest-serving consort of a reigning British monarch and the oldest ever male member of the British royal family. Philip retired from his royal duties on 2 August 2017, at the age of 96, having completed 22,219 solo engagements since 1952. Shortly after Philip's birth, his maternal grandfather, Prince Louis of Battenberg, then known as Louis Mountbatten, Marquess of Milford Haven, died in London. Louis was a naturalised British citizen, who, after a career in the Royal Navy, had renounced his German titles and adopted the surname Mountbatten, an Anglicized version of Battenberg, during the First World War due to Anti-German sentiment in Great Britain. After visiting London for the memorial, Philip and his mother returned to Greece where Prince Andrew had remained behind to command an army division embroiled in the Greco-Turkish War (1919–1922). Philip was first educated at The Elms, an American school in Paris run by Donald MacJannet, who described Philip as a "know it all smarty person, but always remarkably polite". In 1928, he was sent to the United Kingdom to attend Cheam School, living with his maternal grandmother, Victoria Mountbatten, Dowager Marchioness of Milford Haven, at Kensington Palace and his uncle, George Mountbatten, 2nd Marquess of Milford Haven, at Lynden Manor in Bray, Berkshire. In the next three years, his four sisters married German princes and moved to Germany, his mother was diagnosed with schizophrenia and placed in an asylum, and his father took up residence in Monte Carlo. Philip had little contact with his mother for the remainder of his childhood. In 1933, he was sent to Schule Schloss Salem in Germany, which had the "advantage of saving school fees" because it was owned by the family of his brother-in-law, Berthold, Margrave of Baden. 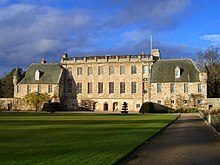 With the rise of Nazism in Germany, Salem's Jewish founder, Kurt Hahn, fled persecution and founded Gordonstoun School in Scotland, which Philip moved to after two terms at Salem. In 1937, his sister Cecilie, her husband Georg Donatus, Hereditary Grand Duke of Hesse, her two young sons, Ludwig and Alexander, her newborn infant, and her mother-in-law, Princess Eleonore of Solms-Hohensolms-Lich, were killed in an air crash at Ostend; Philip, then sixteen years old, attended the funeral in Darmstadt. The following year, his uncle and guardian Lord Milford Haven died of bone marrow cancer. After leaving Gordonstoun in early 1939, Philip completed a term as a cadet at the Royal Naval College, Dartmouth, then repatriated to Greece, living with his mother in Athens for a month in mid-1939. At the behest of the Greek king, George II, he returned to Britain in September to resume training for the Royal Navy. He graduated from Dartmouth the next year as the best cadet in his course. During the Second World War, he continued to serve in the British forces, while two of his brothers-in-law, Prince Christoph of Hesse and Berthold, Margrave of Baden, fought on the opposing German side. Philip was appointed as a midshipman in January 1940. He spent four months on the battleship HMS Ramillies, protecting convoys of the Australian Expeditionary Force in the Indian Ocean, followed by shorter postings on HMS Kent, on HMS Shropshire, and in Ceylon (now Sri Lanka). After the invasion of Greece by Italy in October 1940, he was transferred from the Indian Ocean to the battleship HMS Valiant in the Mediterranean Fleet. Philip was introduced to the House of Lords on 21 July 1948, immediately before his uncle Earl Mountbatten of Burma. Philip, like his sons Charles and Andrew and other royals, ceased to be members of the House of Lords following the House of Lords Act 1999. He never spoke in the House. With the King in ill health, Princess Elizabeth and the Duke of Edinburgh were both appointed to the Privy Council on 4 November 1951, after a coast-to-coast tour of Canada. 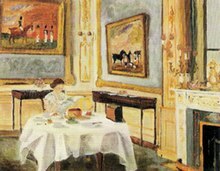 At the end of January 1952, Philip and his wife set out on a tour of the Commonwealth. On 6 February 1952, they were in Kenya when Elizabeth's father died and she became queen. It was Philip who broke the news to Elizabeth at Sagana Lodge, and the royal party immediately returned to the United Kingdom. After her accession to the throne, the Queen also announced that the Duke was to have "place, pre-eminence and precedence" next to her "on all occasions and in all meetings, except where otherwise provided by Act of Parliament". This meant the Duke took precedence over his son, the Prince of Wales, except, officially, in the British parliament. In fact, however, he attends Parliament only when escorting the Queen for the annual State Opening of Parliament, where he walks and sits beside her. Contrary to rumours over the years, the Queen and Duke are said by insiders to have had a strong relationship throughout their marriage, despite the challenges of Elizabeth's reign. The Queen referred to Prince Philip in a speech on the occasion of her Diamond Jubilee in 2012 as her "constant strength and guide". Philip is patron of some 800 organisations, particularly focused on the environment, industry, sport, and education. His first solo engagement as Duke of Edinburgh was in March 1948, presenting prizes at the boxing finals of the London Federation of Boys' Clubs at the Royal Albert Hall. He was President of the National Playing Fields Association (now known as Fields in Trust) for 64 years, from 1947 until his grandson Prince William took over the role in 2013. He served as UK President of the World Wildlife Fund from 1961 to 1982, International President from 1981, and President Emeritus from 1996. 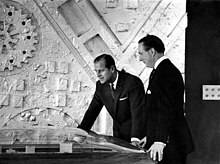 In 1952, he became patron of The Industrial Society (since renamed The Work Foundation). 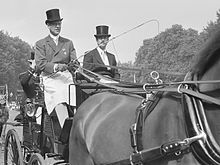 He was President of the International Equestrian Federation from 1964 to 1986, and has served as Chancellor of the Universities of Cambridge, Edinburgh, Salford, and Wales. In 2017, the British Heart Foundation thanked Prince Philip for being its patron for 55 years, during which time, in addition to organising fundraisers, he "supported the creation of nine BHF-funded centres of excellence". He is an Honorary Fellow of St Edmund's College, Cambridge. At the beginning of 1981, Philip wrote to his eldest son, Charles, counselling him to make up his mind to either propose to Lady Diana Spencer or break off their courtship. Charles felt pressured by his father to make a decision and did so, proposing to Diana in February. They married six months later. By 1992, the marriage of the Prince and Princess of Wales had broken down. The Queen and Philip hosted a meeting between Charles and Diana, trying to effect a reconciliation, but without success. Philip wrote to Diana, expressing his disappointment at both Charles's and her extra-marital affairs, and asking her to examine both his and her behaviour from the other's point of view. She found the letters hard to take, but nevertheless appreciated that he was acting with good intent. Charles and Diana separated and later divorced. A year after the divorce, Diana was killed in a car crash in Paris on 31 August 1997. At the time, the Duke was on holiday at Balmoral with the extended royal family. In their grief, Diana's two sons, Princes William and Harry, wanted to attend church and so their grandparents took them that morning. For five days, the Queen and the Duke shielded their grandsons from the ensuing press interest by keeping them at Balmoral, where they could grieve in private. The royal family's seclusion caused public dismay, but the public mood changed after a live broadcast made by the Queen on 5 September. Uncertain as to whether they should walk behind her coffin during the funeral procession, Diana's sons hesitated. Philip told William, "If you don't walk, I think you'll regret it later. If I walk, will you walk with me?" On the day of the funeral, Philip, William, Harry, Charles, and Diana's brother, Earl Spencer, walked through London behind her bier. In June 2011, in an interview marking his 90th birthday he said that he would now slow down and reduce his duties, stating that he had "done [his] bit". His wife, the Queen, gave him the title Lord High Admiral for his 90th birthday. While staying at Sandringham House, the royal residence in Norfolk, on 23 December 2011, the Duke suffered chest pains and was taken to the cardio-thoracic unit at Papworth Hospital, Cambridgeshire, where he underwent successful coronary angioplasty and stenting. He was discharged on 27 December. 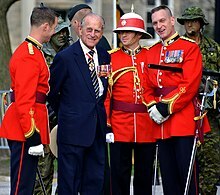 Prince Philip retired from his royal duties on 2 August 2017, meeting Royal Marines in his final solo public engagement, aged 96. Since 1952 he had completed 22,219 solo engagements. Prime Minister Theresa May thanked him for "a remarkable lifetime of service". On 20 November 2017, he celebrated his 70th wedding anniversary with the Queen, which made her the first British monarch to celebrate a platinum wedding anniversary. On 3 April 2018, Philip was admitted to the King Edward VII Hospital for a planned hip replacement, which took place the next day. This came after the Duke missed the annual Maundy and Easter Sunday services. On 12 April his daughter, Princess Anne, spent about 50 minutes in the hospital and afterwards said her father was "on good form". He was discharged the following day. On 19 May, six weeks later, he attended the wedding of his grandson Prince Harry to actress Meghan Markle and was able to walk with the Queen unaided. In October that year, he accompanied the Queen to the wedding of their granddaughter Princess Eugenie to Jack Brooksbank, with The Telegraph reporting that Philip works on a "wake up and see how I feel" basis when deciding whether to attend an event or not. On 17 January 2019, 97-year-old Philip was involved in a car crash as he pulled out onto a main road near the Sandringham Estate. An official statement said he was uninjured. An eyewitness who came to the prince's aid described having to wipe blood off his hands. The driver and a passenger of the other car were injured and taken to hospital. Philip attended hospital the next morning as a precaution. He apologised, and three weeks later voluntarily surrendered his driving licence. On 14 February the Crown Prosecution Service announced that prosecuting Philip would not be in the public interest. His down-to-earth manner was attested to by a White House butler who recalled that, on a visit in 1979, Philip had engaged him and a fellow butler in a conversation, and poured them drinks. As well as a reputation for bluntness and plain speaking, Philip is noted for occasionally making observations and jokes that have been construed as either funny, or as gaffes: awkward, politically incorrect or even offensive, but sometimes perceived as stereotypical of someone of his age and background. In an address to the General Dental Council in 1960, he jokingly coined a new word for his blunders: "Dontopedalogy is the science of opening your mouth and putting your foot in it, a science which I have practised for a good many years." Later in life he suggested his comments may have contributed to the perception that he is "a cantankerous old sod". The historian David Starkey described him as a kind of "HRH Victor Meldrew". For example, in May 1999 British newspapers accused Philip of insulting deaf children at a pop concert in Wales by saying, "No wonder you are deaf listening to this row." Later Philip wrote, "The story is largely invention. It so happens that my mother was quite seriously deaf and I have been Patron of the Royal National Institute for the Deaf for ages, so it's hardly likely that I would do any such thing." When he and the Queen met Stephen Menary, an army cadet blinded by an IRA bomb, and the Queen enquired how much sight he retained, Philip quipped: "Not a lot, judging by the tie he's wearing." Menary later said: "I think he just tries to put people at ease by trying to make a joke. I certainly didn't take any offence." During a state visit to the People's Republic of China in 1986, in a private conversation with British students from Xi'an's North West University, Philip joked, "If you stay here much longer, you'll go slit-eyed." The British press reported on the remark as indicative of racial intolerance, but the Chinese authorities were reportedly unconcerned. Chinese students studying in the UK, an official explained, were often told in jest not to stay away too long, lest they go "round-eyed". His comment had no effect on Sino-British relations, but it shaped his own reputation. ↑ He was born on 10 June 1921 according to the Gregorian calendar. Until 1 March 1923, Greece used the Julian calendar, in which the date is 28 May 1921. 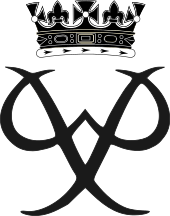 ↑ "Do your DofE – The Duke of Edinburgh's Award". www.dofe.org. Retrieved 29 January 2019. ↑ "Yvonne's Royalty Home Page: Royal Christenings". users.uniserve.com. Archived from the original on 27 August 2011. Retrieved 23 May 2018. ↑ "HRH The Duke of Edinburgh (Lords Sitting of 21 July 1948)". UK Parliament. Retrieved 31 October 2018. ↑ "Earl Mountbatten of Burma (Lords Sitting of 21 July 1948)". UK Parliament. Retrieved 31 October 2018. ↑ "Duke of Edinburgh attended boxing match as first of 22,000 official duties". Metro News. 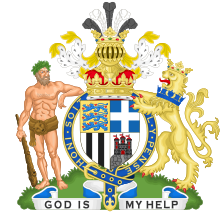 ↑ "St Edmund's College – University of Cambridge". www.st-edmunds.cam.ac.uk. Retrieved 2018-09-10. ↑ "Princess Eugenie wedding in pictures: Splendid hats and gusts of wind". BBC News. 12 October 2018. ↑ Tominey, Camilla (9 October 2018). "Duke of Edinburgh 'will decide at last moment' whether he attends royal wedding of Princess Eugenie". The Telegraph. Retrieved 11 November 2018. ↑ Hannah Furness (18 January 2019). "Prince Philip crash: Duke 'asked if everyone else was alright' after car 'tumbled' across road leaving him bleeding". The Telegraph. Retrieved 18 January 2019. ↑ Haroon Siddique (20 January 2019). "Prince Philip has not said sorry for car crash, injured woman claims". The Guardian. Retrieved 20 January 2019. ↑ Caroline Davies (18 January 2018). "Prince Philip undergoes hospital checks after car crash". The Guardian. Retrieved 18 January 2019. ↑ Victoria Ward (27 January 2019). "Prince Philip sends personal apology to victims of Sandringham car crash". The Telegraph. Retrieved 9 February 2019. ↑ Lin Jenkins (9 February 2019). "Prince Philip gives up driving licence three weeks after car crash". The Guardian. Retrieved 9 February 2019. ↑ "Prince Philip, 97, gives up driving licence". BBC. 9 February 2019. Retrieved 10 February 2019. ↑ Owen Bowcott (14 February 2019). "Prince Philip will not be prosecuted over car crash, says CPS". The Guardian. Retrieved 14 February 2019. ↑ "Royalty – Debrett's Guide to British Behaviour". 12 November 2010. Archived from the original on 2010-11-12. Retrieved 23 May 2018. ↑ "Duke of Edinburgh". 13 January 2009. Archived from the original on 2009-01-13. Retrieved 23 May 2018.